For nearly four decades, Four Seasons has set state, national and international innovation benchmarks for Palliative and Hospice Care providing you access to the best advancements in care delivery. In addition, Four Seasons’ Research & Development team leads the nation in healthcare advancements and improvements that benefit the people in our local communities and across the nation. 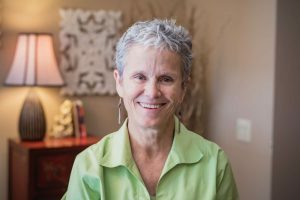 Our Chief Medical Officer, Janet Bull, MD, serves as President of the American Academy of Hospice and Palliative Medicine, bringing national advancements in care to our community. Our Palliative Care Chief Medical Officer, John Morris, MD, is ranked within the Top Ten Palliative Care Providers in the nation by the Center to Advance Palliative Care. Leveraging telehealth technology, Four Seasons trains and mentors palliative and hospice care teams in rural WNC communities so that people who have a serious illness have access to high quality hospice and palliative care services. Four Seasons was awarded $750,000 from The Duke Endowment “Project ECHO to Expand Palliative Care Access Across the Carolinas.” In collaboration with Duke University Medical Center, Delta Care Rx, and the ECHO Institute, Four Seasons will use the Project ECHO (Extension for Community Healthcare Outcomes) model to train and mentor both palliative care teams led by nurse practitioners or physician assistants and primary care providers in rural communities in the Carolinas. Using telehealth, Project ECHO links specialists in that particular field at a “hub” with clinicians in local communities considered the “spokes” of the model. Together the hub and spokes participate in bi-weekly teleECHO clinics that include patient case presentations, didactics around evidence base practices, and mentoring. Four Seasons is a recipient of a Center for Medicare & Medicaid Innovation Award focused on improving patient outcomes and reducing healthcare costs. A regional and national leader in the advancement of palliative medicine, Four Seasons Compassion for Life , recently completed a three-year grant with a Centers for Medicare & Medicaid Services Healthcare Innovation (CMMI) award focused on expanding community-based palliative care, improving patient outcomes, improving patient/family satisfaction, while reducing healthcare costs. Four Seasons’ community-based palliative care delivery model is one of the best examples of this type of care in the U.S., integrating inpatient and outpatient care, and thereby spanning all settings through which patients with advanced illnesses transition: hospital, clinic, home, assisted living facility, and nursing home. The seamless coordination of a centralized care plan across all sites of healthcare delivery within the patient’s community represents state-of-the-art care within the palliative care spectrum, placing the Four Seasons program at the forefront of the movement to implement, evaluate, and demonstrate community-based palliative care in the U.S. One of the primary outcomes of the program will be to utilize the results to propose an alternative financing approach for community-based palliative care within the Medicare program. The interdisciplinary community-based palliative care team consists of physicians, physician assistants, nurse practitioners, registered nurses, social workers, and chaplains. Services within the Four Seasons model include symptom management, social work, disease management education, advance care planning, support with complex medical decisions, psychosocial support, and patient/family education. To improve care for minority patients, the model involves hospital-based translator services, and includes cultural competency as part of provider training. The community-based palliative care clinical team is trained to provide patient/family-centered, culturally competent care to Western North Carolina communities, creating a comprehensive catchment net for vulnerable populations. 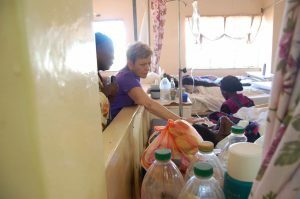 In a global health initiative, Four Seasons partners with the Palliative Care Alliance of Zambia (PCAZ) through Global Partners in Care with the goal of providing education and support to increase access to Palliative Care in this medically challenged region. As part of the partnership agreement, the agencies commit to alternating exchange visits each year. 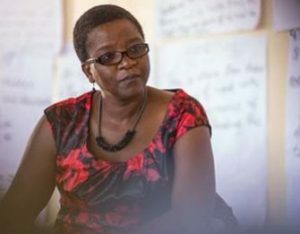 Zambian health leader and National Coordinator of PCAZ Njekwa Lumbwe remains outspoken on the significant impact the partnership has on the lives of the nation’s peoples. Palliative Care is supportive care focused on the relief of suffering by providing good pain and symptom control, and support for families and caregivers. Learn more about Four Seasons’ efforts to improve palliative care in Zambia, as featured in the documentary “A Unified Presence” by Emmy® award-winning filmmakers, Dylan and Emily Trivette. Located in the central southern region of Africa, Zambia has roughly the same population as North Carolina, numbering about 13 million. But that’s where the similarities end. Zambia’s geographic area is about six times that of North Carolina. There, the average life expectancy is 48 years, about half that of North Carolinians, and one of the lowest throughout Africa. As a nation, Zambia has been hit hard by the HIV/AIDS epidemic: one million people are living with this disease, while only 25 percent have access to medications. Additionally, high death rates ensue from malaria, tuberculosis and cancer. Limited resources and large coverage areas are serious issues. Only 780 doctors serve the struggling nation, or one per 16,700 people, compared with more than 22,300 physicians practicing in North Carolina. 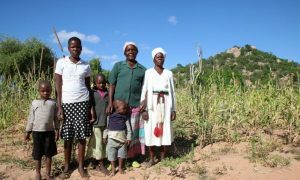 The limited availability of medication, education, and training in Zambia encouraged Four Seasons to partner with PCAZ. The two agencies share aligned missions of providing compassionate care for those in need. Therefore, the partnership will focus on improving access to quality palliative care throughout Zambia. Learn more about Four Seasons’ efforts to improve palliative care in Zambia. Four Seasons commits to continue to build its partnership with Zambia and other struggling African nations in need of improved palliative care services. 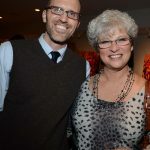 Individuals are invited to assist this effort through designated donations, sponsorships and conference attendance, volunteer opportunities, and screenings of the documentary film, “A Unified Presence.” Funds raised for the Zambia partnership go directly to supporting palliative care education for doctors and nurses. For more information on getting involved with the Zambia Partnership, contact us at Zambia@fourseasonscfl.org.